With an unbeatable fork design running along the peak, the custom printed Tiburon Cap is a great giveaway item. Why choose good when you can have great? 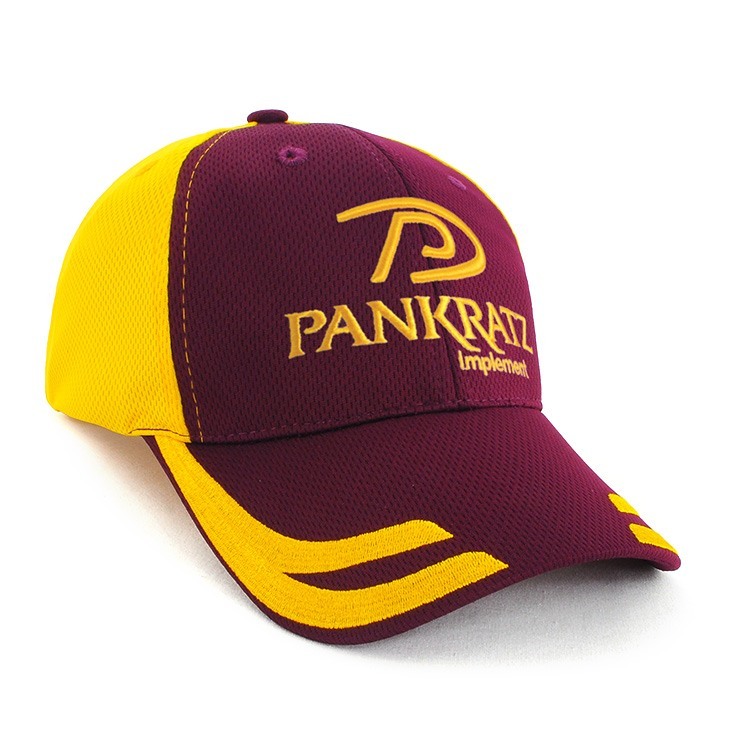 With this spankin’ promotional cap, you’re sure to go with great on your next promotion. 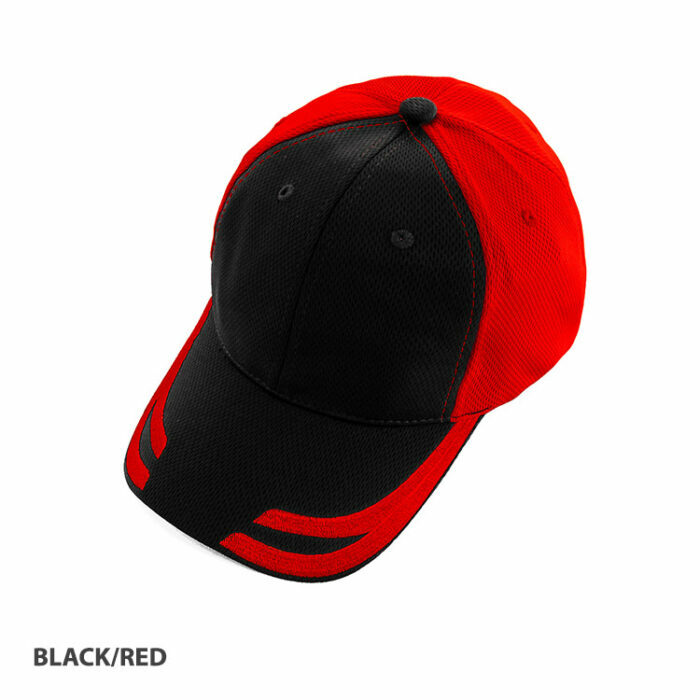 Introducing the branded Tiburon Cap. This awesome product is a sure win for any event or occasion. It’s a great product to use as a giveaway to your clients this coming holidays, or maybe to your employees for that upcoming event you’ve been planning. 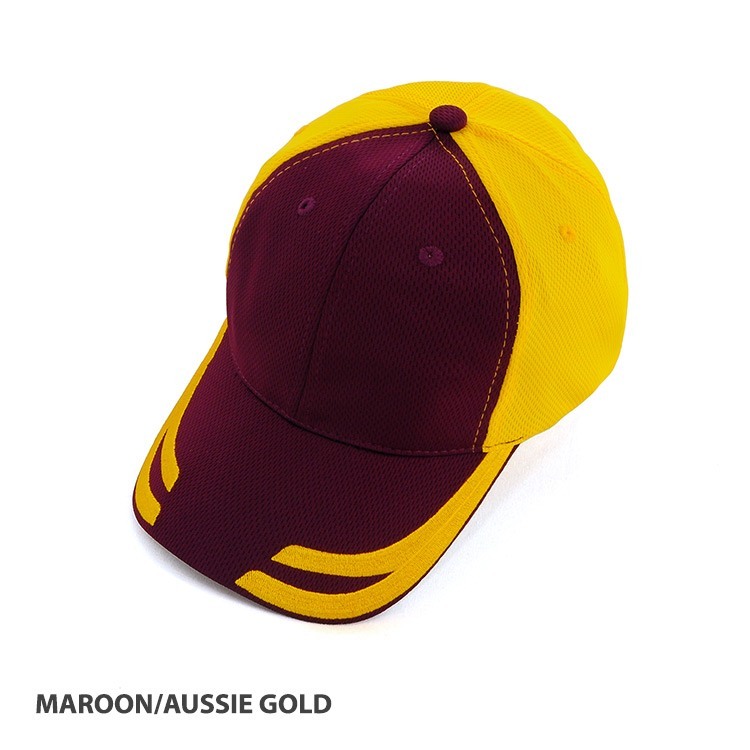 The promotional Tiburon Cap comes in four fantastic two-tone colour combinations – Navy/Dark Grey, Black/Red, Royal/Black, and Maroon/Aussie Gold. 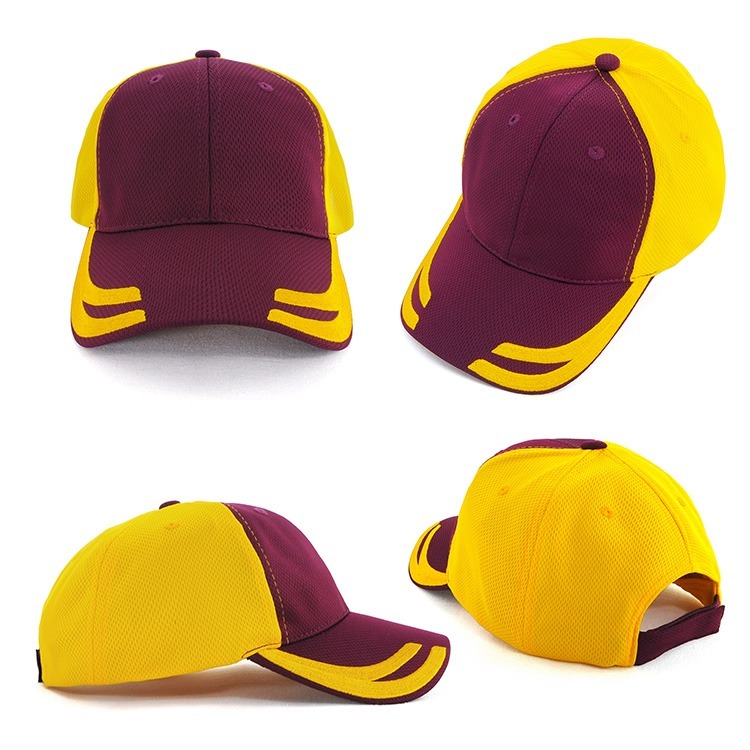 These colours have been uniquely designed to give the cap a funkier and more pronounced look. 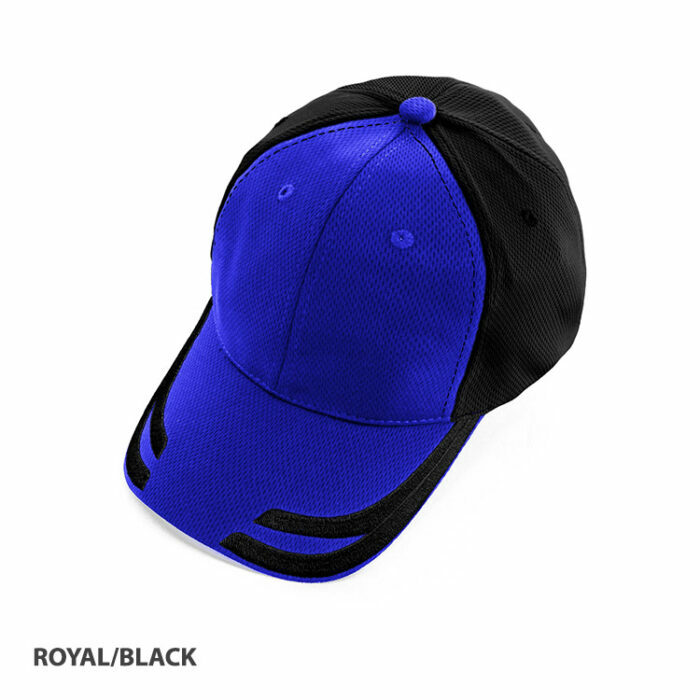 It also comes with the six-panel structured design that everybody loves. To add to the wearers comfort, we’ve put eyelets on the crown so air can easily circulate in and out of the cap. But the main highlight of the printed Tiburon Cap is the design pattern on the peak. Left and right is a unique running pattern that parts at the center tip. It’s very simple, but is effective in drawing eyes to the cap to showcase your custom design. So start making that design. 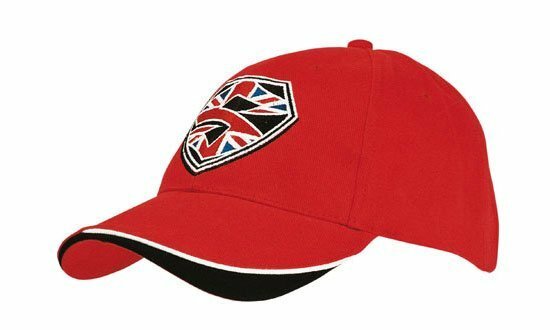 It can be your company logo which is perfect if you want to give the personalised Tiburon Cap to your clients. Or maybe a team emblem if you’re going to use it for employee sporting events. Just do let us know how you’d like it done – either via printing or embroidery. Now your staff and clients can stay protected from the sun while at the same time marketing your company when they wear the popular budget priced Tiburon Cap. Don’t worry about cost. All of our products are very pocket friendly while keeping up with high standards so you’re always the winner. 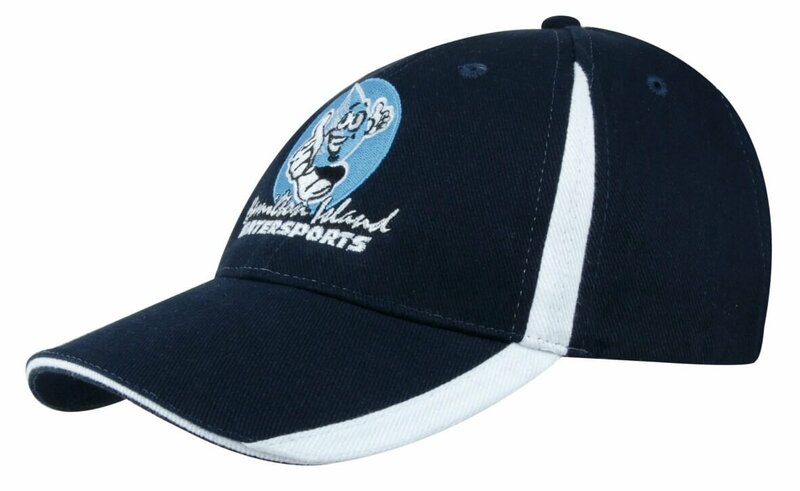 Also do check out some of our products like the custom printed License Cap and the promotional Premium American Twill College Cap while you’re on our site. Make a splash with giveaways as trendy as our custom Tiburon Cap. Its unique design makes it a stunning giveaway for your promotional campaigns. More is merrier with tokens such as our personalised M&Ms Medium Bucket. Check too our lineup of colourful promotional confectioneries. We’re always here to answer any inquiries that you may have, so just dial 1300 008 300 if you want to give us a call. Or you can also hit us up for live chat on our website.